Most tourists who come to Camsur only know about the glorified places for wakeboarding, island hopping and sampling the hottest Bicol Express. But Camsur offers more than physical excitement, it also provides significant pieces of history and spirituality. Camsur is actually home to many of Philippine heritage churches that have stood for hundreds of years and they also wait for visitors to marvel at how they have survived changes in time and modernization. Camarines Sur was never a popular travel destination not until the recent years when it repackaged its tourism effort into being one of the country’s prime wakeboarding destinations. The popular international TV show, Survivor also created an impact in showing the beautiful island getaways of Caramoan in Partido District. 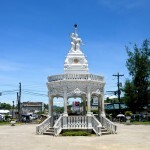 However, many people do not know that Camarines Sur is a distinctly Spanish-founded settlement and played a significant role in the development of Christianity in the Philippines. In 1595, the Diocese of Nueva Caceres, now known as Naga City was established spanning a reach throughout the Bicol Region, Quezon Province and other parts of South Luzon. It is regarded as one of the oldest dioceses in the country along with Cebu, Nueva Segovia and Manila. Catholicism is more than just a colonial religion. It is something deeply woven into the daily lives of every Catholic Filipino. Churches were built by various missionary orders that came and served not only for its subjects’ miraculous deliverance, but most importantly as a political backbone of the Spanish colonial rule. 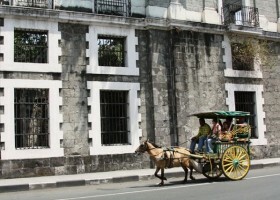 The colonial churches in Camarines Sur are just some of the many legacies that Spain left. 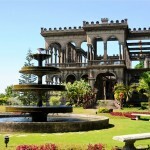 These were built using both European architectural aesthetics and Filipino craftsmanship. They served not only as houses of worship but also, significantly during those times as a fortress against marauding pirates. Throughout time, these religious edifices have survived earthquakes, fires and wars. Its silent spires have witnessed how these towns have grown to what we now know as Camarines Sur. Whenever in town, take time to visit these wonderful pieces of national treasures that have lived for more than 400 years. Magayon Bicol! Featured above are just some of the heritage churches I have personally visited. There are more in other districts of Camsur.